Tibet is a most unusual and beautiful place. The majority of it's land rests above 4000 meters (13,000 feet) and is surrounded by mountain ranges on three sides. The awe-inspiring Himalayas are the highest in the world, as is the never ending Tibetan plateau. It is a place for the rugged adventurer as well as the spiritual wanderer. 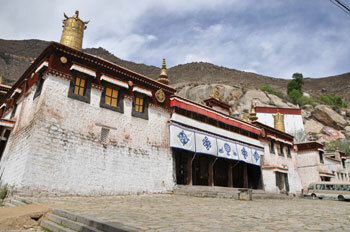 Tibet is a land held back in time, housing many secrets. Nomads remain much the same as they did one hundred years ago. Roaming the plateau from winter and summer camps the nomads still mainly subsist from their yak herds. Then, there are the monasteries which are striving to find a place in a country that's suddenly facing the 21st century.